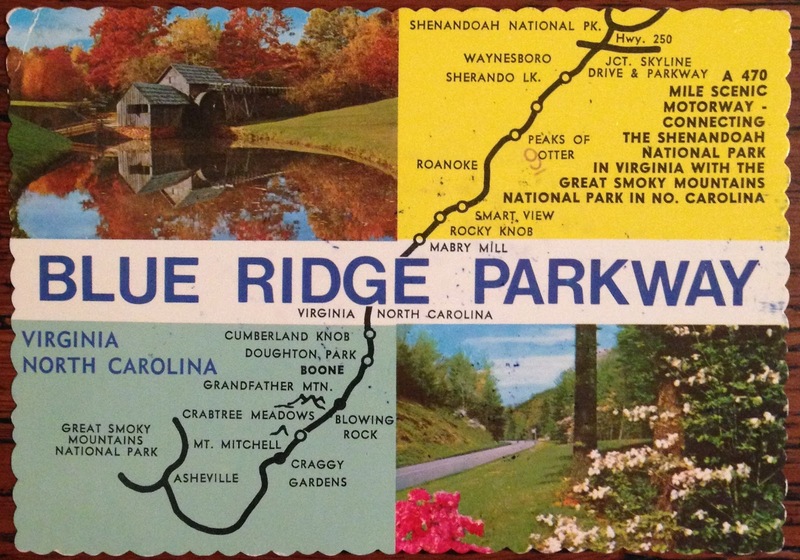 We love driving the Blue Ridge Parkway. The old postcard is wonderful. It is a beautiful part of the country! 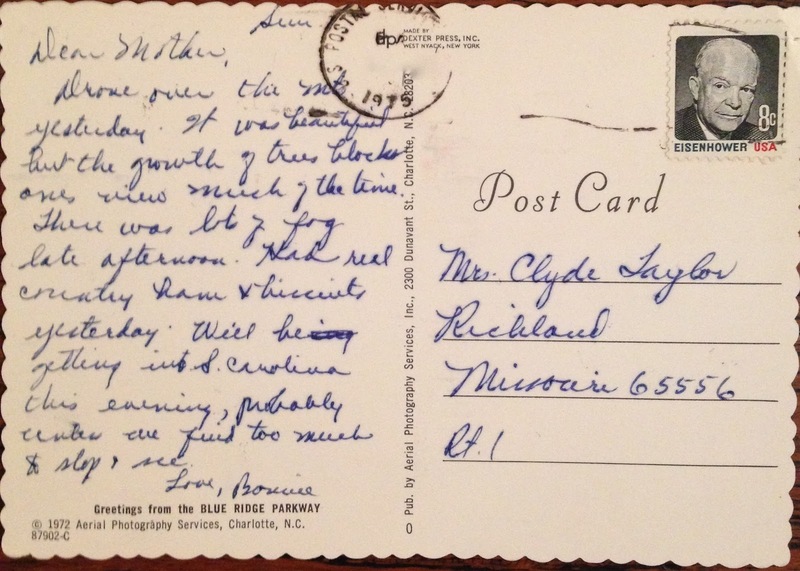 Thanks so much for writing and I have to agree, I like that postcard too.